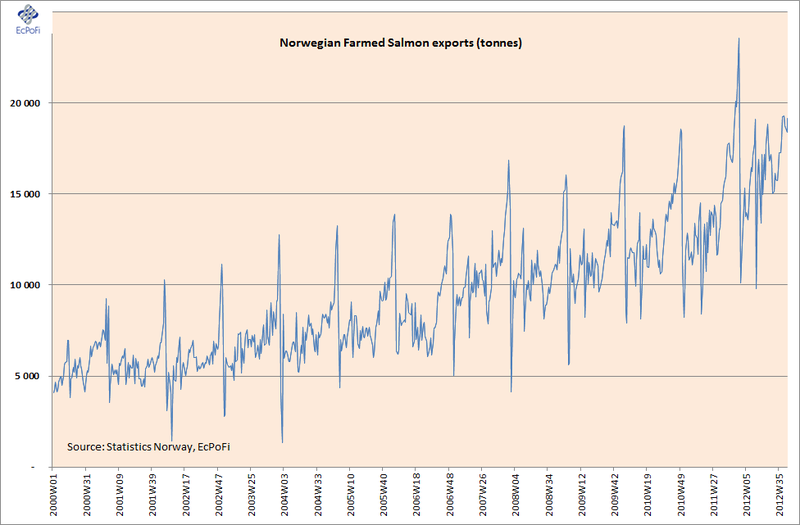 Statistics Norway reported an export of 19,174 metric tonnes of fresh/chilled and frozen farmed salmon from Norwegian salmon farmers in week 42, 2012. On a rolling average four week basis volume in tonnes exported was up 8.4% (1,472 tonnes) on the same period last year. 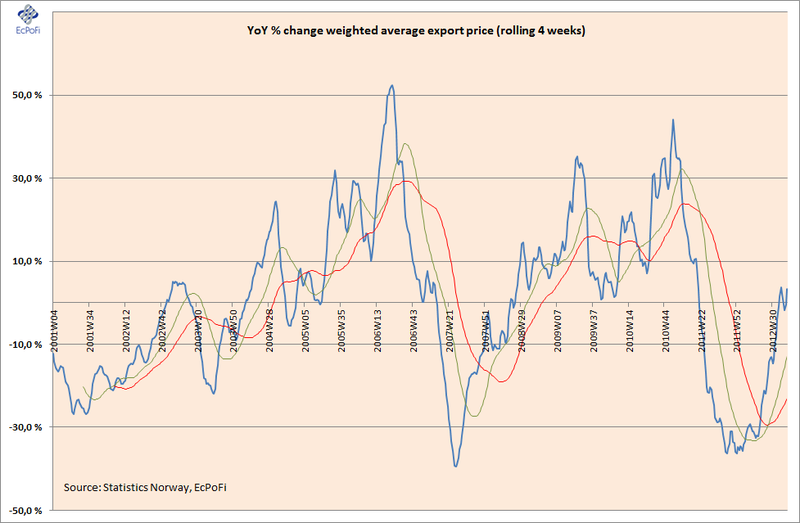 The weighted average price per kilo for the week was NOK 26.39 and was up 3.4% YoY on a rolling average four week basis. 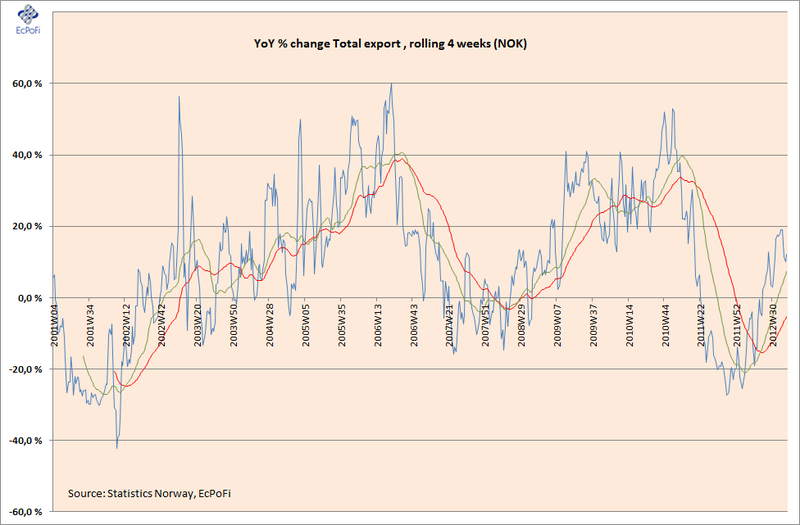 The value of exports for the week was NOK 506.060 million, an increase of 12.0% (NOK 51.764 million) on last year on a rolling average four week basis. 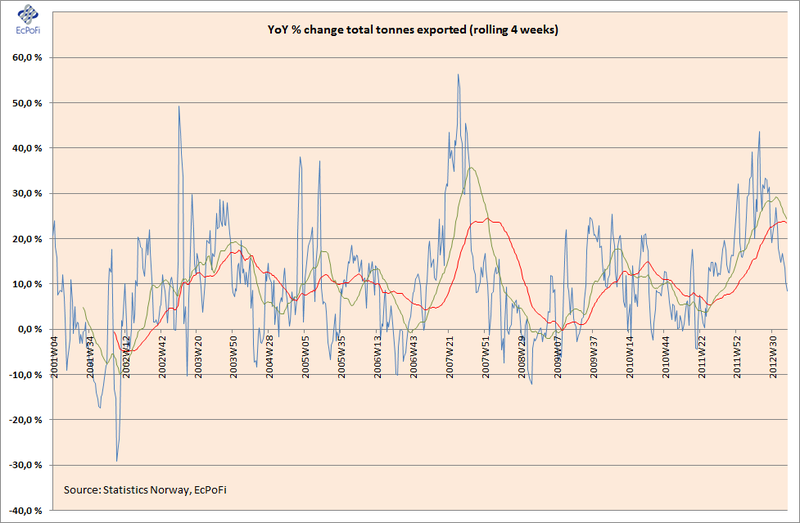 Total tonnes exported continue to increase on last year, but on a four week average basis it was the slowest YoY growth since week 27 in 2011. Following three weeks in a row with a decrease in price on last year on a rolling average four week basis, prices for the week again increased. The total value of exports continued to increase on last year, driven by both an increase in volume and price, and represented the 21th week in a row with an increase on last year (on a rolling four week basis). 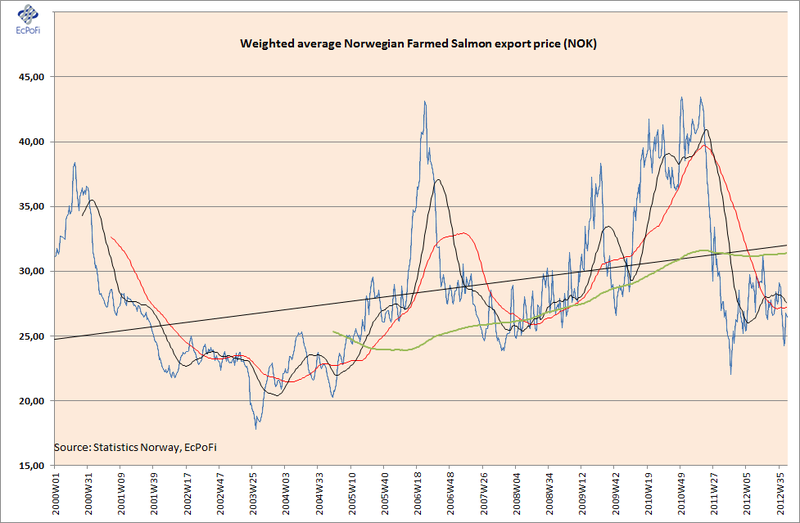 For a Year to Date update on Norwegian Salmon exports (as of week 40), please go here.